"You took away someone's father and grandfather." 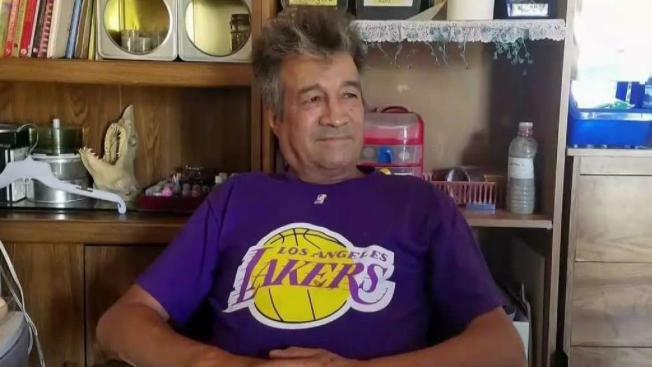 After five days of fighting to stay alive, 60-year-old Hector Julian Diaz of Riverside passed away Wednesday after being involved in a hit-and-run crash. His son heard the crash when the driver of this gray sedan caught on a neighbor's security camera hit Diaz with such force that his body landed several yards away. The son ran to his father's side. "There were times I could feel him squeezing my hand," Hector Diaz, the victim's son, said. "I’d talk to him and his eyelids would move." The son adds, "To me, he was the greatest man I’d ever known." Based on car parts detectives found on Strong Street, they believe it was the driver of a newer model Toyota Scion that hit Diaz and took off. "I just saw debris flying everywhere, and I saw him on the ground," the son said. "It's heartbreaking. I’ve never lost anyone. To lose my dad the way i lost him is just...it hasn't been easy." The Diaz family wants that driver to know the family is suffering with broken hearts and a huge void. "You took away someone's father and grandfather ... eight grand children, one who is only 3 months old who will never get the opportunity to see his grandfather sing and dance," Julia Diaz, the victim's daughter passionately addressed the driver. The victim's family started a GoFundMe to help pay for funeral expenses.